A Fabulous photograph and so well preserved for being 74 years old ! Mr.Lorimer has also identified 20 names on this old photo. Hi . 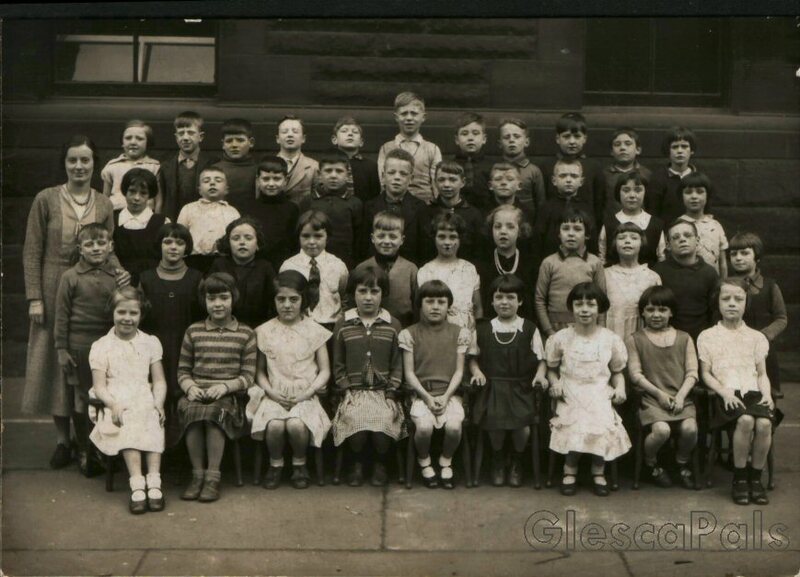 Re school photograph 1934 Annfield School well I have most of the names of the pupils. I happened to meet Tommy Lorimer a few years back and he recognized me ( don't know why after all of these years since leaving school) and he produced that school photograph and I was totally amazed and I met up with him the following week and gave him a number of names and was sorry not to meet up with him again . Anyway I still have most of the names of the pupils if you are interested. I am the wee one standing next to Miss McLean who was a lovely teacher,Catherine Cunningham. Dear webmaister I am a postal worker who works at cubie street delivery office. This year the building is 100 years old and is the only remaining building in cubie street.I have been doing a small history project on the building and the street.I hope to have a small exhibition within the building for 3 days at the beginning of september. This project includes annfield primary school and i really like your class photos of the school.I would be very grateful if i could use one of these photos to display at the exhibition as this will be open to the local public also any other information on the school would be much appreciated.I look forward to your reply.